Went to my doctor today about my acid reflux. We are switching around my meds to see if that helps and then I will let her know how that goes. 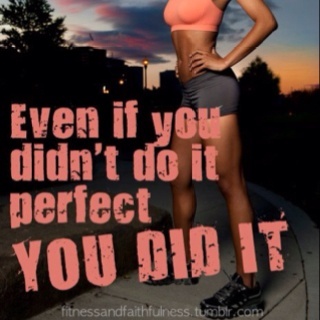 I was showing my doctor my latest fitness journal (which she loved by the way) and in my flipping I saw this inspiration picture and it really reminded me of my week. So all of troubles, it’s still a win because I did it.